If someone were to ask me to describe a typical Aussie couple, the first word to mind would not be romantic. I’d be thinking relaxed, easy going, quick to share a laugh, beachy, sun-loving, good mates etc. The coolest part about this wedding with Lia and Joe is they were the “typical” Aussies with a big dash of romance on top. Unlike many couples on their wedding day, these guys wanted to be in each others pockets every minute of the day… it was awesome! Especially from a photography point of view. There was something to shoot all day long – a gentle kiss, holding hands, a twist of Joe’s curls in Lia’s fingers, cheeky glimpses, whispers, little smirks and stolen moments. I can’t name a famous director for a big box office romantic comedy right now but… even if he was available to direct this wedding, he couldn’t have made the day any better, it had everything! I’ve asked Lia to share a glimpse into what went into her perfect day and a little about the lead up, the shopping, the countless decisions and some advice. 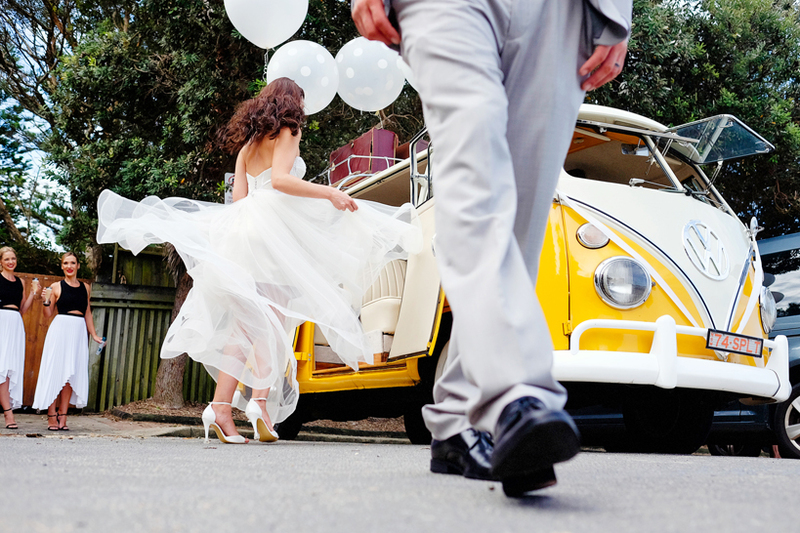 Read on for half a chance at experiencing a wedding day so many couples dream of. Joe proposed on our four year anniversary at Toowoon Bay beach (where we had one of our 1st dates). It was a Wednesday at 5am and we were going for a morning walk before work. He waited till the sun started to rise and popped the question. He was concentrating on just asking and was waiting too long with the box open so I just pulled the ring out and put it on myself (you’ve seen the ring… I couldn’t wait to get it on my finger!). Joe had already arranged for me to have the day off work so we spent the rest of the morning on the beach drinking Moët in the sun… perfection! We couldn’t decide where to have the wedding and eventually a friends friend asked why we weren’t having our day at the place we describe as perfection??? After that it just seemed like the perfect fit. Toowoon Bay SLSC. We didn’t want guests to have to travel far between the reception and ceremony. Many guests stayed at the holiday park next door so it was just a short walk home from the reception. Ha no… we just wanted to keep everything simple! I was the most underprepared bride ever! My gorgeous friend Bianca arranged so much for us, along with our family! We wanted beautiful lights (Joe and his mother made these), loads of gorgeous flowers and simple white linen. Well…four weeks before the wedding I saw another dress and fell in love! I drove that evening with my bridesmaid, Jo and Coral from Corston Corture made it for me in three weeks! 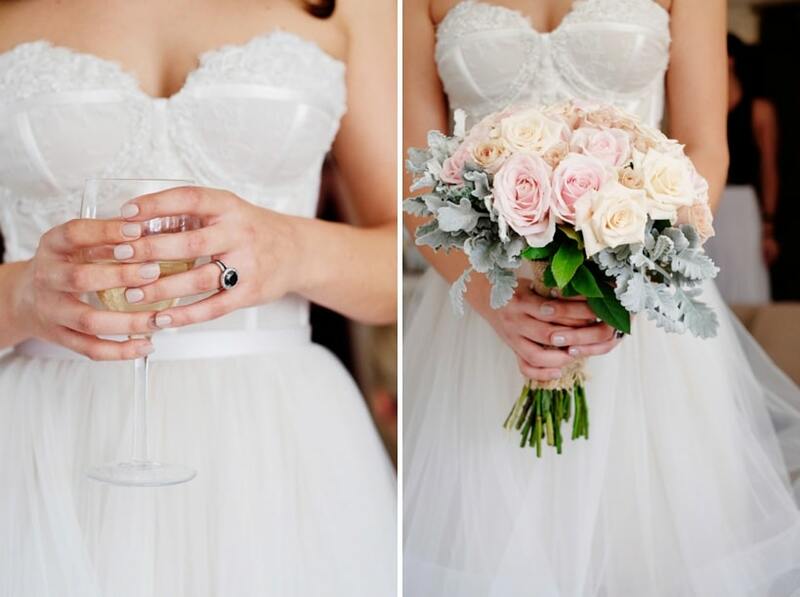 The best advice I can give is to not rush the dress. Everywhere you go you will be told you need to order your dress 6-8months before. You don’t need to so unless you adore your dress. Don’t do it or you will end up with two wedding dresses like me! Shoes were the easiest! I work for Wanted Shoes and had no trouble finding multiple options. Wanted Shoes also offer exclusive Bridal events in stores so you can contact info@wantedshoes.com.au and they will arrange a time for you and your maids to visit the store of your choice. They will ensure you have a personal sales assistant, all your choices are available in multiple sizes and if purchasing over three pairs you will receive a 10% discount! Deena Weidemann from Chic Artistry created the look for me. I wanted my hair out but didn’t want to have the usual look. I loved the understated glamour of the pin curl. My hair never holds curls so I was so impressed! We had pictures of what we wanted and thought it would be a lot easier than it was to find the colour. A month before Joe had his suit made from Ron Bennett, as light grey was impossible to find. We loved the personalised stitching of our wedding date & names. 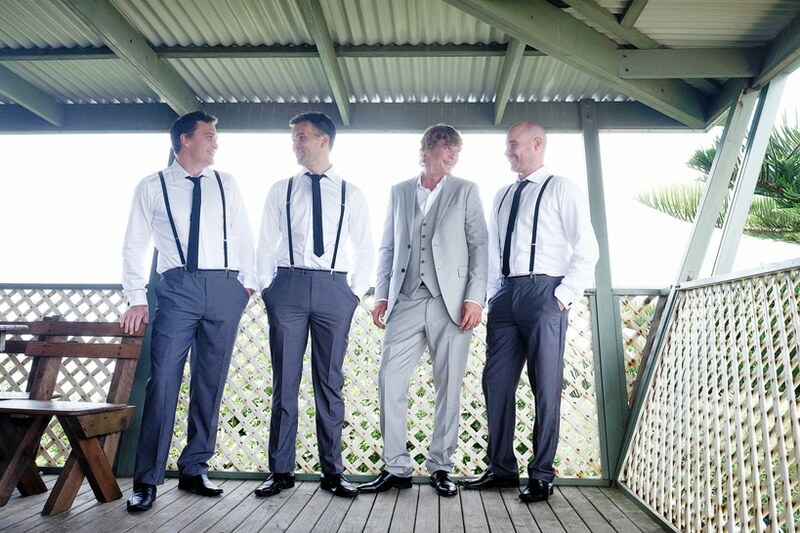 The boys were much easier… two weeks before the wedding we purchased the boys separates from David Jones! Kim a family friend and florist created everything! I adore flowers so I wanted vases throughout the entire room. Kim nailed it! 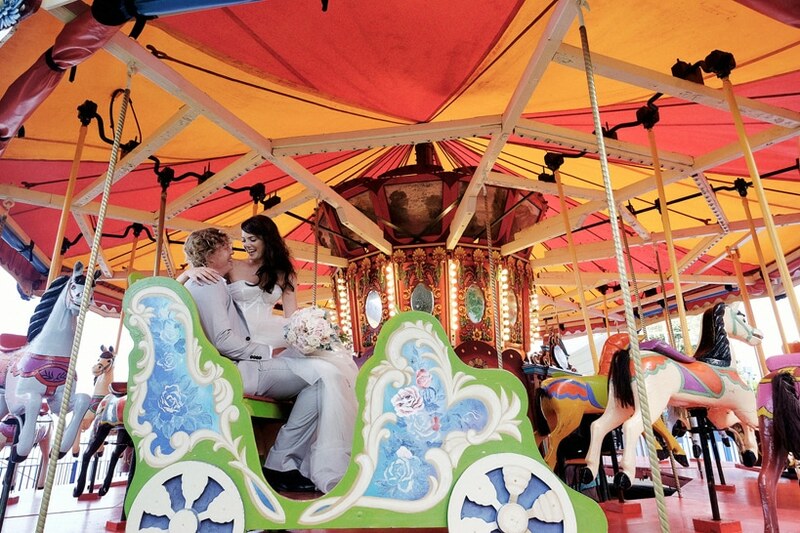 We couldn’t have asked for more… We were going for a vintage theme and it was magnificent! 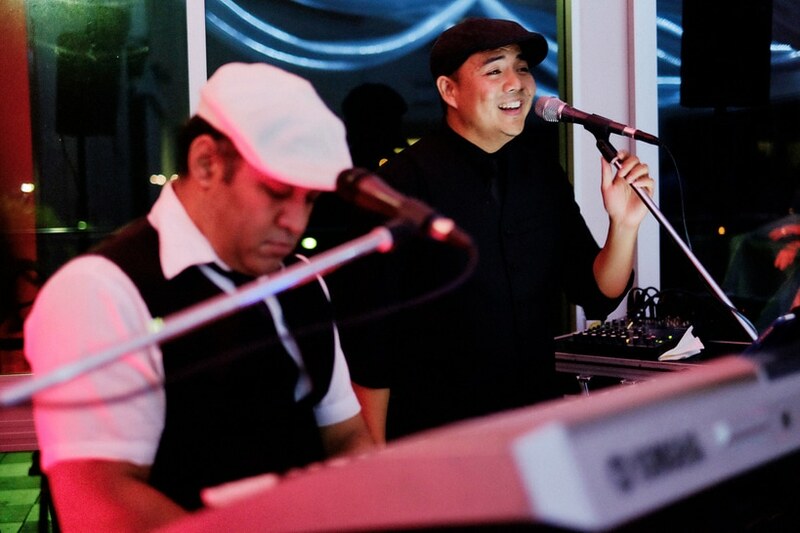 Our caterers @ sproutcatering.com.au took care of this! 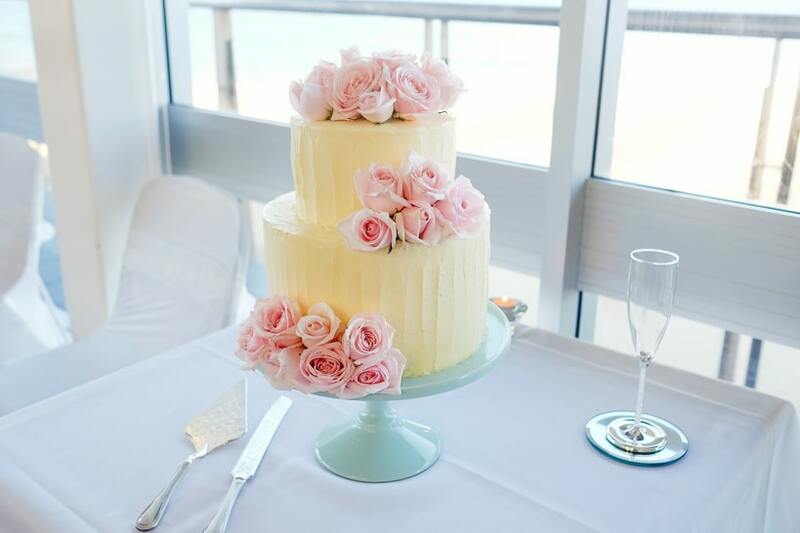 The cake was delicious (many guests raved about it) and they decorated it on the day with fresh roses! It was perfect and simple! Addicted to shortbread, the amazing Wendy Small @ www.napolitains.com.au created boxes of Neapolitans for our guests. 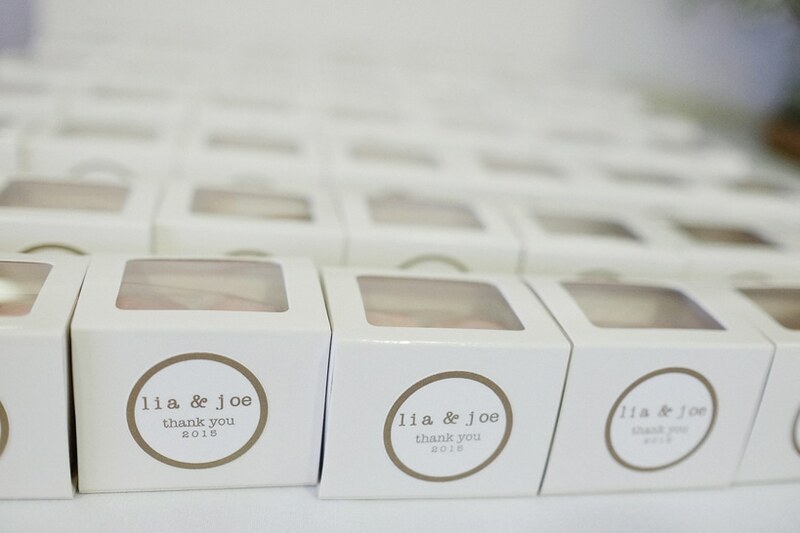 Wendy designed the labels to match our invitations and they were an absolute hit! This was so much fun! Joe and I originally didn’t want to have any “posing/staged” photos but are glad we changed our mind! The bridal party had so much fun travelling around in our Kombi (coastkombis.com.au) and having such a varied selection of backgrounds. Andrew made the day effortless and it truly was natural. Ask for help early on… it’s amazing how many people want to help! Nothing… unless we could take back the heat at the ceremony! Wow it was hot! 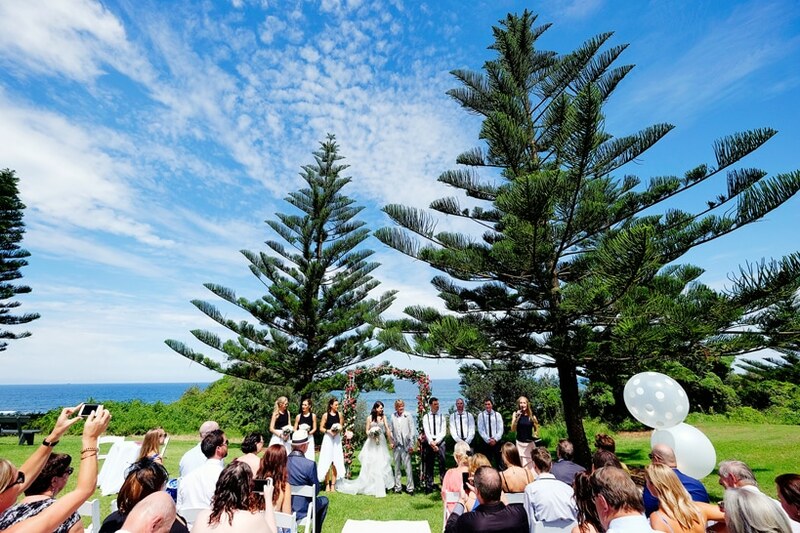 For a glimpse at more of our wedding photography and great advice from real Central Coast brides click here. If you’d like to download our wedding price list and get the 10 best tips for the perfect wedding day, no matter your budget or location, add your details here.